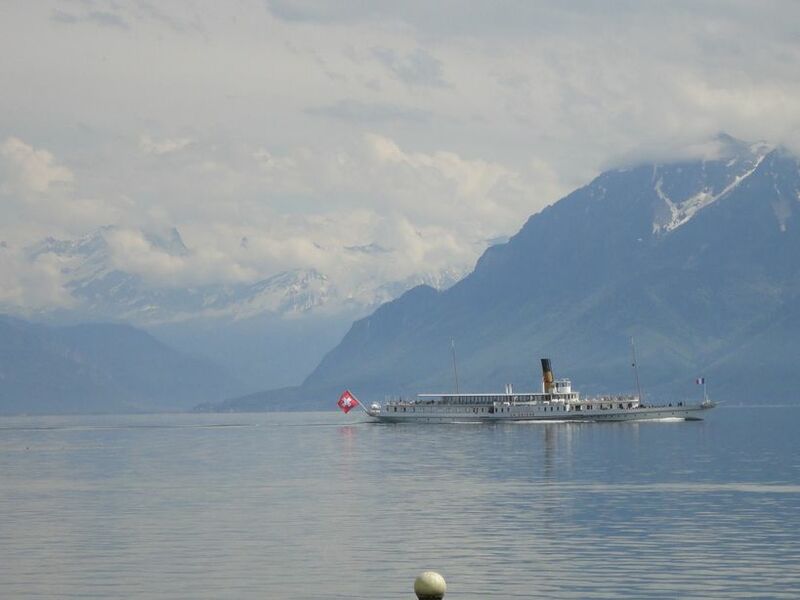 The SBB train chugged along in the scenic journey from Milan to the Swiss city of Lausanne, passing Domodossola, Brig, and the vineyards of Montreux, before we reached the shores of Lake Geneva (Lac Léman, in French). Lausanne, a French-speaking city in the canton of Vaud, is blessed with picturesque views of the Alps, the Jura mountains, and Lake Geneva. Its location on sloping terrain ensures the abundance of spectacular vistas from various locations. A gorgeous Sunday morning along the lake. The charming lakeside promenade. Lugano. It had been fun exploring Lugano on Saturday, and we looked forward to another great day in this Italian-speaking city in south Switzerland. A Sunny Day on Monte Bre We boarded a bus to the other end of town where the funicular to Monte Bre awaited us :). The path to the funicular. Towards Monte Bre, Lugano. View from our hotel room, Lugano. View from our hotel room, Lugano. Views from our hotel room… Lake Lugano. And the powerful jet of water from a fountain… I could sit here for hours… days… months… and stare… wonder… dream. On a warm June weekend, we headed to Lugano, Switzerland. Lugano, the land of Swiss landscapes with an Italian touch, is approximately an hour’s train ride from Milan.